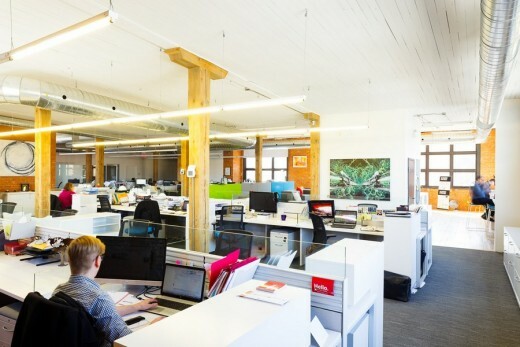 Place of Work in Hamilton, Canada – design by DPAI Architecture Inc.
Hamilton’s downtown renewal is well underway after suffering a fate similar to many post-industrial North American cities during the late 20th century. Notably, its renewal is grassroots, centering on the arts and entrepreneurial communities. A diversity of small, locally-owned businesses have taken root and are leading the economic and urban renewal. 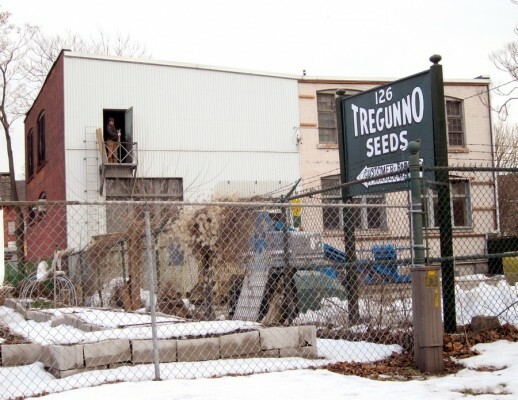 When the new owners of the old Tregunno Seeds warehouse began imagining the building’s future, dpai were asked to lead the initiative. 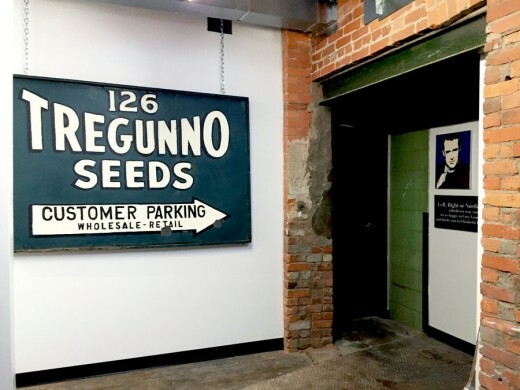 The former seed warehouse had established itself as a regional hub for farmers, gardeners, and birdwatchers—in this sense it was an important resource to provide support for the productivity of the community. The designers and owners understood this and were intent on carrying on this tradition; this time as a hub of innovation. 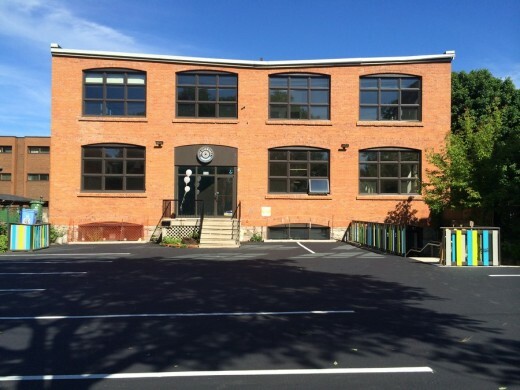 The building dates from 1890 and was originally home to the Hamilton Buggy Whip Manufacturing company. 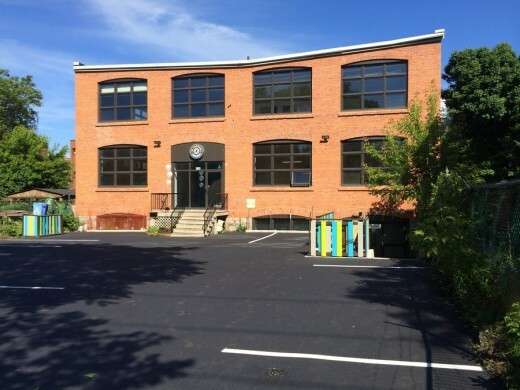 When acquired in 2012, siding blocked its expansive windows, and the interior was timeworn from its previous uses. The post and beam structure and interior brick surfaces were cleaned of many years of paint and left exposed to reveal the buildings history to its new inhabitants. dpai developed the branding along with the name Seedworks, evoking the past while looking to the future. The project has received a great deal of positive community attention and local support, and was awarded a Heritage Property Conservation Award from the Hamilton Municipal Heritage Committee. 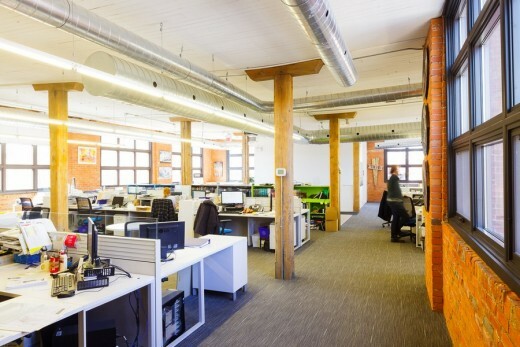 The second floor is home to Hamilton’s first coworking space. A modern desk system was organized in four linear banks on the eastern and northern bays of the space. 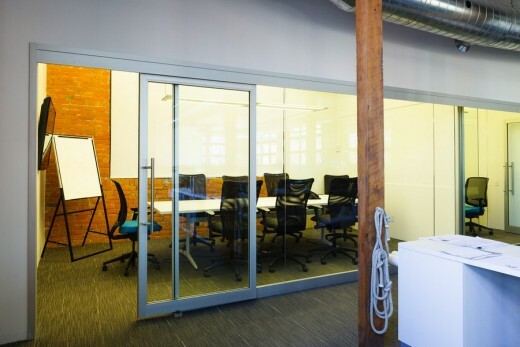 Two glazed meeting rooms/breakaway spaces were provided along the eastern wall. Central to the space is a lounge with tiered upholstered seating that faces the staircase wall which doubles as a projection wall. Along the western and southern walls is the kitchen/café space, which boasts clean minimal white counters and a touchdown station running along the length of windows. 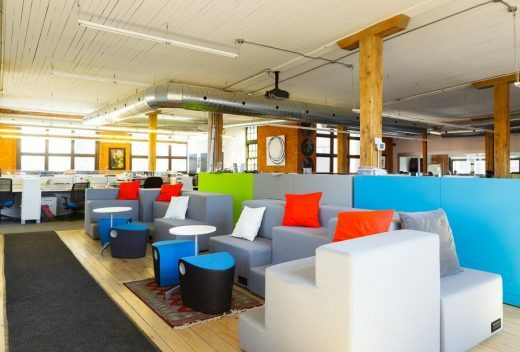 The lounge and the touchdown station are fully wired, offering secondary working spaces. They also offer great flexibility for holding community events, lunch and learns, movie nights and presentations. 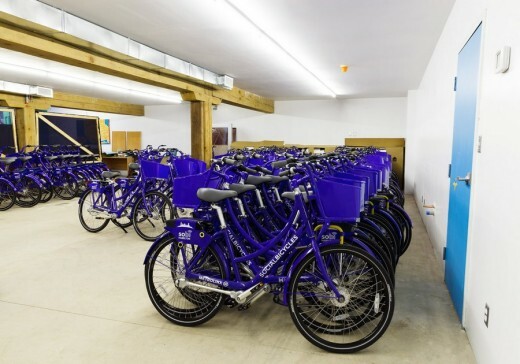 The Seedworks also proudly hosts the headquarters of SOBI bikes, Hamilton’s revolutionary and successful bike share program. 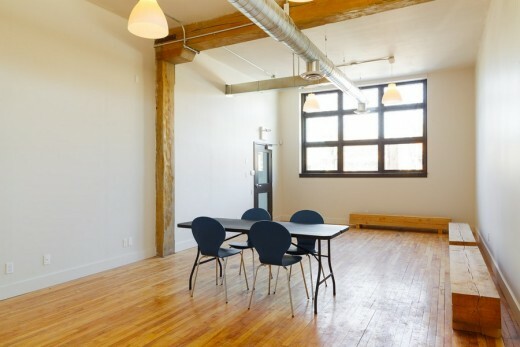 Another anchor tenant is Kitestring Creative Branding Studio, who consistently demonstrate strong community leadership in the city’s renewal and Historia Building Restoration Inc, an award winning building restoration leader serving the Toronto (GTA) and Southern Ontario market since 1989. Consultants: MTE Consultants, Historia Building Restoration Inc.
Sherwin-Williams Paint, Hadrian Washroom partitions and lockers, Ridley Windows & Doors, Amovo Workplace Environments, Allsteel Furniture, Corian countertops, AGFA Graphics, Centura Tiles, Shaw Carpets, Regional Doors & Hardware, PCL Graphics, PC 350 Glazing Systems, Hess Millwork. 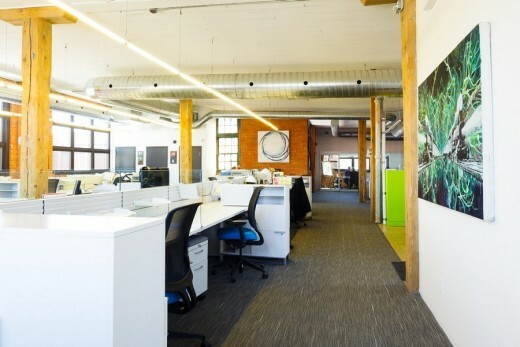 The Seedworks Urban Offices in Hamilton images / information from DPAI Architecture Inc.
Toronto Buildings - key buildings + designs Montreal Architecture - key buildings + designs Calgary Buildings - key buildings + designs Canadian Architecture : news + key projects Vancouver Architecture Walking Tours, BC photograph : Nigel Young, Foster + Partners Ontario Association of Architects Awards Comments / photos for the The Seedworks Urban Offices in Hamilton page welcome The Seedworks Urban Offices in Hamilton - page Website: DPAI Architecture Inc.